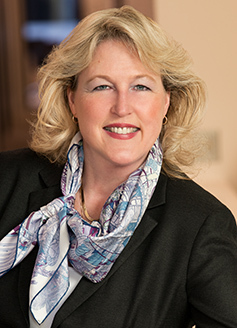 Louise Betcher Staab | Robinson Waters & O’Dorisio, P.C. At Robinson, Waters, & O’Dorisio, Louise Betcher Staab’s practice focuses on commercial leasing for both landlords and tenants, including the preparation and negotiation of complex long-term ground leases as well as office, retail and industrial leases including multi-tenant and single tenant triple net projects. Additionally, Louise represents commercial landlords in matters related to owning, managing and operating their properties, such as the preparation and negotiation of management agreements, broker listing agreements, service contracts, construction contracts and telecommunications licenses. Further, she works with developers and building owners on the financing of their properties and the acquisition and disposition of real estate holdings including office buildings, hotels, apartment complexes and vacant land. Louise is a member of Women in Real Estate as well as the Denver chapter of Commercial Real Estate Women. She is a member of the Colorado Bar Association and its Real Estate Section and the Denver Bar Association. Louise served on the Executive Council of the Real Estate Section of the Colorado Bar Association from 2006 – 2007 and also served on the Board of Directors of the Colorado Women’s Chamber of Commerce from 2008 – 2009. She is a frequent lecturer on commercial leasing matters. She is a recipient of the American Jurisprudence Award for legal research and writing and was also awarded the Wall Street Journal Award for Excellence in Economics. Louise earned her undergraduate degree from Capital University and her juris doctorate from the University of Colorado.